Sun, sand, palm trees and clear waters are my idea of a perfect escape. I frequent Palawan because of its natural beauty. The gin-clear waters, striking limestone formations, the lovely local culture- these had me coming back at the world's best island. I was recently back in Palawan to attend the 1st Palawan International Film Festival. It was held in San Vicente- and my first time to be there. 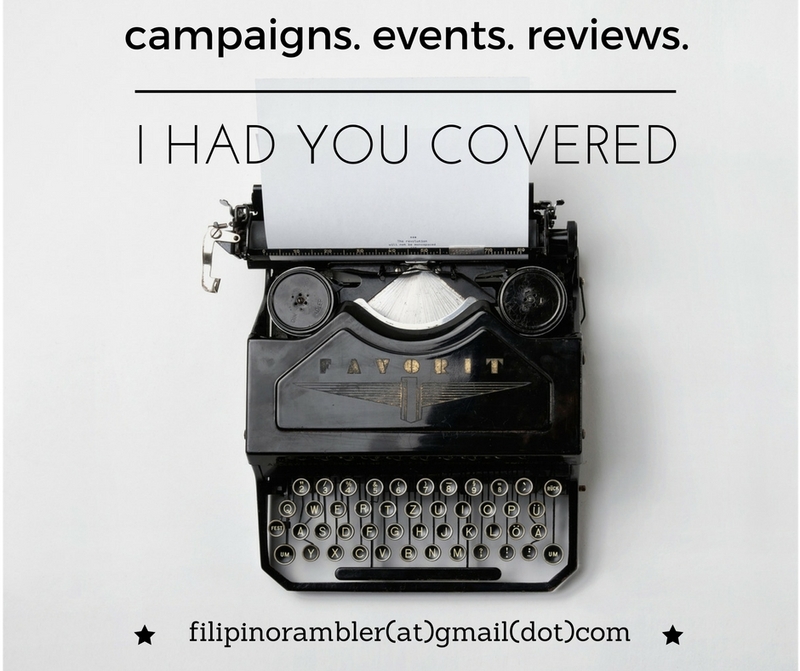 I was a day ahead of the #PIFFMax schedule and had an overnight to spend in Puerto Princesa. I and my friends stayed in Cabana Republic. It is some 15 minutes ride from the airport. This 2,800 sqm haven is owned and operated by Gigawatt Property Ventures Inc. It was originally intended as a respite for the employees of the said company- eventually they developed the place and opened it to the public. Upon entry, I immediately fell in love with the place. The many attractions in Puerto Princesa spell paradise, and Cabana Republic greatly complements your stay with its great accommodation and facilities. There are 10 houses, each with 2 rooms at Cabana Republic. Our deluxe suite room had 2 decadent double size bed, an AC unit, mini ref and cabled LED TV. Work desks are also provided- perfect for people like us who had to juggle work and play. Complimentary water and coffee are neatly displayed. WiFi is accessible from within the rooms, though it sometimes get intermittent. Our room has a separate toilet and bath. Both are immaculately clean and equipped with toiletries. We must be lucky because our room had a bath tub! And who wouldn't like to soak a tired body in a warm bath? If you have not had enough of waters, take a dip at the pool of Cabana Republic. The pool water was warm and the gushing waters from its man-made falls was calming. The jacuzzi was another feature, too. We soaked on it during the night and did not notice the time. It was the perfect relaxation my body yearned for! Lounge chairs and pool beds also provided comfort. The al fresco dining area served great meal the next morning. We had typical Pinoy breakfast- 'danggit', longanisa, corned beef, scrambled egg, fried rice, bread and fruits. Everything's so savory, you bet I had enough fuel for the morning. Juice and coffee were available too. If there's one thing I laud about this place- it's the serene vibe. Everywhere I look is just calming. Since it's not that big, you get a really nice, quiet place and a feeling of exclusivity. Lounge by the chairs to read a book or check your social media accounts via your mobile phone- you'll sometimes hear your own breathing- and isn't this fantastic? I don't get to experience this most often in the busy life in the city. The place also has a wide open area- perfect for team building activities or party reception. Your camera will surely love the place because so many spots are instagrammable. Considering the topnotch facilities, services, beauty and cleanliness of the place- the rates are not that bad. There are a lot of accommodations in Puerto Princesa that one can choose from- from backpackers hostel to 5 stars hotel. But if there's one I'd recommend in this place, it's Cabana Republic. We had an experience of fun, comfort and luxury without having to burn a hole in the wallet. Tired and uninspired? Take a break and go on an exciting trip to Palawan. 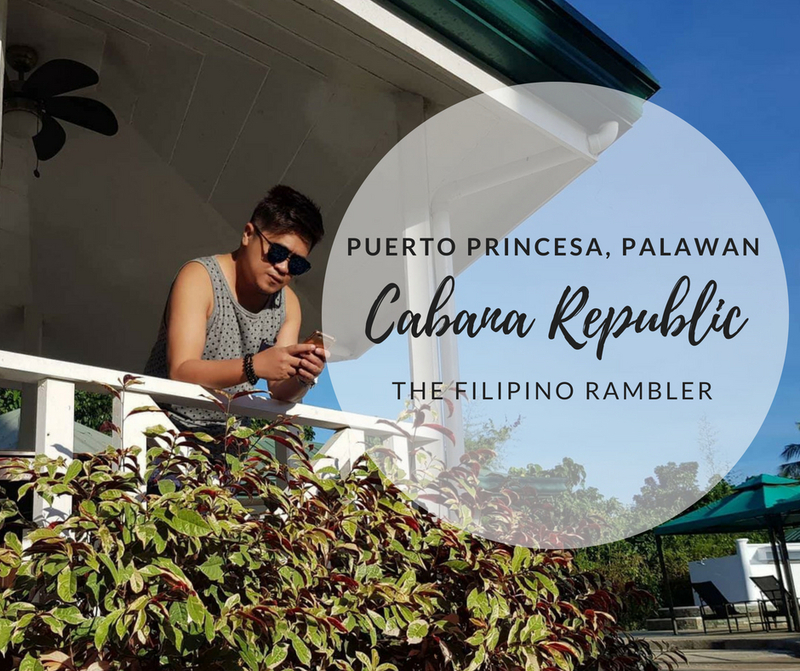 Cabana Republic will surely give you a lovely home in Puerto Princesa.